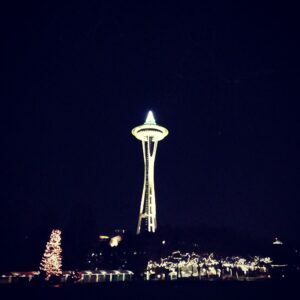 There is something magical that happens in Seattle when those tiny white lights start appearing in the trees downtown. It’s incredible that a little arbor accessory can be so powerful. 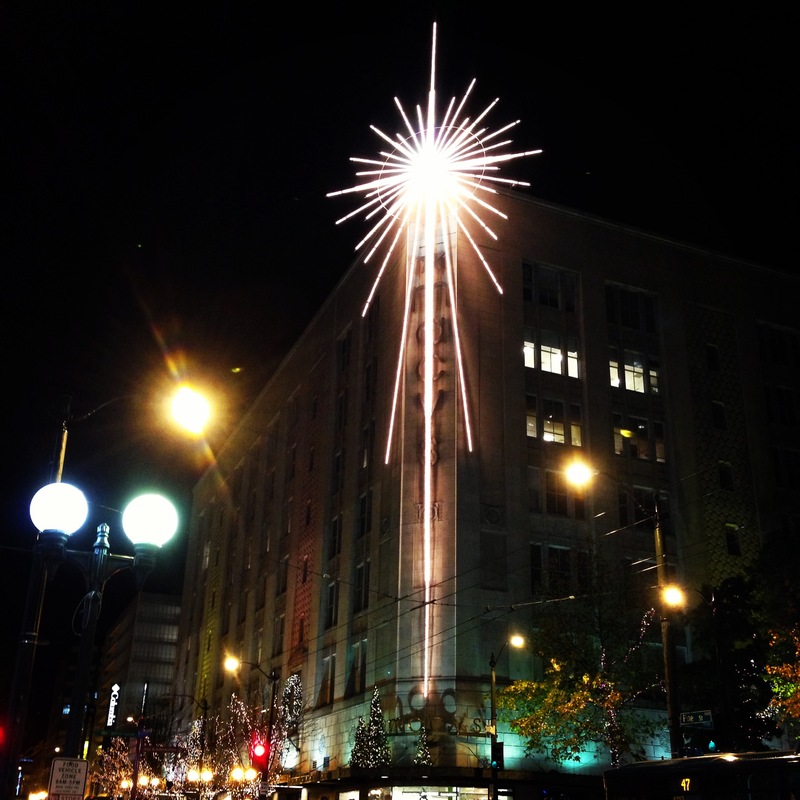 It’s a subtle sign that the holiday season has arrived in the Emerald City. I’ve always looked forward to this time of year. While all the seasons in Seattle have their charms, there’s something special about winter. As the sun sets you can sneak a peek of the snow on the perfectly silhouetted mountains that surround the city. The golden leaves on the trees have vacated their branches until spring making room for those magical lights. And, the chill in the air gives you a reason to snuggle into your favorite wool scarf or sip a delicious hot toddy. This holiday season is extra special for me. We get to show our daughter all of the things we love about the holidays in the city for the very first time. To see the holiday magic through the eyes of a child is going to make me fall in love with this city all over again. I’m definitely approaching my ‘must-do’ list differently now that we have a little infant in tow. We’re planning our first trip to WildLights at the Woodland Park Zoo to see the park transformed into a winter wonderland. She’ll get her first glimpse of snow at Pacific Place during the nightly flutter. 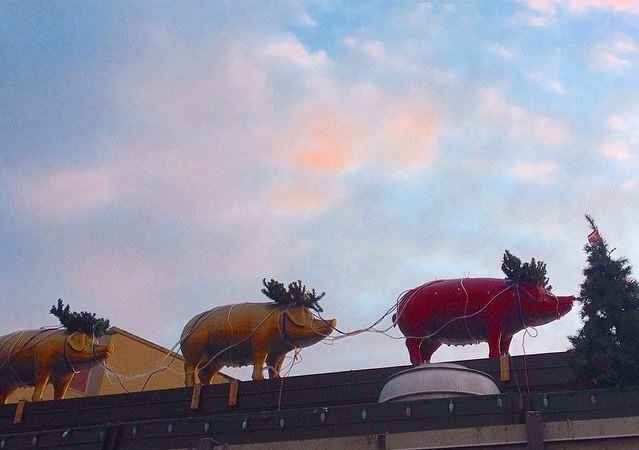 And, we’ll need to swing through Pike Place Market to see the festive pigs lining the roofs. Right now, elephants are her favorite, but I bet she’ll love the little oinkers anyway. And, since we live just a block from Seattle Center, she’ll get to see her backyard completely transformed into her own festive playground. While she’s a bit too young for the ice rink, I’m certain the Winter Train will mesmerize her long enough for me to down an eggnog latte. And, every night we’ll look up to show her that even the Space Needle gets dressed up for the season. Those tiny white lights at it again. There’s so much I want to show this little lady I should probably get started right now. Check out HolidaysInSeattle.com to start planning your own adventures through the city this season. Ali Daniels is the Senior Vice President & CMO for Visit Seattle. 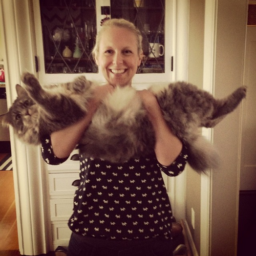 You'll find her wearing out her running shoes in the parks around Seattle or bellied up to the kitchen counters of the city's yummiest establishments. She loves buttercream frosting, kittens, snapping pics and life in lower Queen Anne with her rad husband and darling little girl.